Going out to all of your parties and special events, from NYE, to a night out with the girls, are always fun. But, it can leave you wondering what to wear, and constantly feeling like you need a new outfit. Don’t worry, though, there are three simple go-to items that will make your social life a whole lot easier, and leave you excited for the day or night to come, rather than stressing over the outfit. One is an accessory, and the two other two are clothing pieces. All three are must-haves for any gal’s closet. As many already know, the little black dress, or LBD, is an essential for every woman’s wardrobe. Having a simple, elegant black dress is so versatile. It can be dressed up to attend a wedding, or dressed down for a night out with friends, all with accessories. Plus, black is a color that looks great on everyone. The most important element is picking an LBD style that you’ll feel comfortable and confident wearing. Another great aspect about LBDs is that you can make the overall look uniquely “you.” Let the little black dress be the fundamental piece of your outfit and choose accessories that show off your personality. Accessorize with simple pearls for a classic look, or with bold neons for a stand-out funky style. It’s all up to you! One LBD that we love is the above Kalani Hilliker for Alyce KR101 V-neck short dress. It’s a totally cute, practical (hello... pockets! ), and figure-flattering dress that you’ll be able to wear again and again. Plus, at $42.00, it’s super affordable. Get it from RissyRoos.com. To complete your LBD, or any other dress or outfit, you should always have a pair of bust-enhancing inserts on hand. The inserts can help fill your top and keep everything in place exactly as you want it. We personally love Double Scoop inserts for their versatileness and totally cute colors. Double Scoop are push up padded inserts for your favorite bra, top, swimsuit, or dress. Yup, you can even wear them with swimsuits, and get them wet! Double Scoops come in different styles, allowing them to perfectly fit with any outfit you may have in mind. Just like an LBD, how you wear your Double Scoop inserts is completely up to you. For more lift, you may want to place your inserts below your breast. For more cleavage, you may want to place the inserts more to the outside, so that your breasts are pushed together. 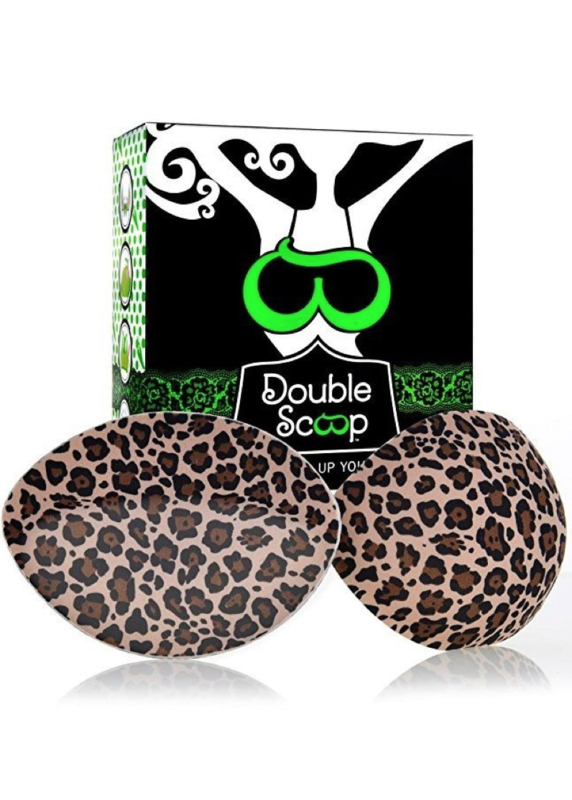 While you can purchase any style from double-scoop.com, if you want to pair with the purchase of your LBD, you can find The Original Double Scoop inserts at RissyRoos.com. They are only $20.00. A cami you can depend on is something that there can never be enough of in your closet. As long as it’s a well-made, chic cami, you’ll be surprised how much you end up creating outfits around it. Once you find a cami you love, we recommend purchasing it in all the standard colors, like black, white, and grey. This will ensure that no matter what obstacle you find yourself in when putting an outfit together, your camis are always available as options. A good, reliable cami can be dressed up or down. Wear with leggings while lounging around the house or dress it up with a skirt or dress pants for work or a night out. When wearing to work, you may want to pair with a cardigan to ensure your shoulders are covered. Our favorite cami of choice is the Last Tango 1202L Long Seamless Cami with Lace Trim. The seamless and lace details make it so perfect to compliment any and every outfit. You can tuck it in, wear it long, or scrunch it up to your desired length. It’s $32.00 and comes in black, ivory, and silver grey. Now, who’s ready for a fun time out? » Baby It's Cold Outside!